Mikhail Youzhny’s career might not be defined by a single shot. The Russian never had a forehand like Juan Martin del Potro’s in his repertoire, and his one-handed backhand was never as devastating as Stan Wawrinka’s. But if nothing else, the Russian became synonymous with his victory salute, placing his racquet on his head after winning a match in tribute to his late father. And in a way, that’s fitting. The 36-year-old, nicnkamed ‘The Colonel’, has been a soldier on the ATP World Tour for nearly two decades, cementing his status as a consummate professional years ago, and flourishing in an era featuring some of the best players in tennis history. Youzhny will hang up his racquets after competing at this week’s St. Petersburg Open, completing a workmanlike career that saw him climb as high as No. 8 in the ATP Rankings. Youzhny never stopped looking for ways to win. Whether it was on the court with his fighting spirit, or off of it, working as hard as possible day-in and day-out. Typically, he’d spend his offseason in Thailand. But prior to the 2018 campaign, he spent four weeks in Marbella, Spain with his physio and doctor before returning to Moscow, where he resides. It will be a well-earned change for Youzhny. The 36-year-old has tallied 31 Top 10 wins in his career, lifted 10 titles from 21 tour-level finals and finished inside the Top 50 of the year-end ATP Rankings in 13 consecutive years from 2002 to 2014. While the Russian, who reached the US Open semi-finals twice, has not quite found the best of results this season (6-17), he still remains two wins shy of becoming the 10th active player and 46th in history to record 500 tour-level match wins. Perhaps the match he will be remembered for was the live fifth rubber in the 2002 Davis Cup final, when Youzhny came from two sets down to stun Paul-Henri Mathieu and clinch the title for Russia. It was very much a soldier-like effort, battling in enemy territory under the most pressure possible at just 20 years old. Former Russian president Boris Yeltsin even swarmed him after the triumph. It was the perfect precursor to the career Youzhny would create. And if his efforts on the court don’t show enough about his character, just look at how he treated Evgeny Donskoy, a compatriot, but also a competitor. Donskoy began traveling with Youzhny and coach Boris Sobkin toward the end of 2014 after stopping his work with former World No. 1 Marat Safin. Outside of splitting travel expenses for Sobkin, Youzhny would not take any money from his countryman. And he’s not the only one who feels that way. That sentiment stretches beyond the Russian contingent on the ATP World Tour, and to a younger generation, as well. One may wonder just how successful Youzhny would have been if he did not have to compete against the likes of Roger Federer, Rafael Nadal and Novak Djokovic for virtually his entire career. But the Russian sees those rivalries as a blessing, not a curse, despite winning a combined seven of 44 FedEx ATP Head2Head meetings against the trio. Over nearly two decades on the ATP World Tour, Youzhny learned plenty, perhaps too much to sum up in one lesson. But one thing he is taking away from his career reflects what the Russian became known for, and it can apply to all walks of life. “If you really want to do something, and you give 100 per cent of your time to this goal, you’ll have a chance to receive back from your investment,” Youzhny said. Youzhny never threw himself under the spotlight, but he was always a reliable force on the circuit. Armed with his one-handed backhand — with which he followed through with two hands — and a simple forehand stroke, the Russian was a tough out for all opponents. It’s safe to say that Youzhny doesn’t have to. Once he strikes his final shot in St. Petersburg, it will be the tennis world saluting Youzhny. Stan Wawrinka got his St. Petersburg Open campaign off to a good start on Monday, battling past a tough Slovenian opponent, Aljaz Bedene, against whom he had lost once before. It wasn’t an easy match by any means, as Bedene served for the opening set. And it was another step in the right direction for the former World No. 3, whose form continues to improve after undergoing two left knee surgeries in August 2017. It’s easy to see Wawrinka’s 14-14 record on the season and wonder whether he will return to his best form. But the 33-year-old is not looking far enough ahead to consider what ATP Ranking he wants to achieve by a certain date, or how many more titles he’d like to win. And while Wawrinka has not advanced to a semi-final since February, his level has certainly been improving. The Swiss owns three victories against Top 15 opponents in his past two tournaments. The 16-time tour-level champion’s past three losses have all come against top-tier opponents — Rafael Nadal, Roger Federer and former World No. 3 Milos Raonic. So Wawrinka is not in Russia to simply continue working on his game like he has been doing in practice. While he has not captured a title since triumphing in Geneva last May, he has one goal in mind. Wawrinka will try to take another step forward in the second round against in-form Russian Karen Khachanov. Germany’s Yannick Maden took full advantage of his lucky-loser status at the Moselle Open in Metz on Monday. The German beat countryman Mischa Zverev 7-5, 4-6, 6-1 to earn his first tour-level win since May at the BMW Open by FWU in Munich. Maden won 76 per cent of his first-serve points and saved seven of nine break points against Zverev, No. 63 in the ATP Rankings. When Monday began, Maden, No. 120 in the ATP Rankings, wasn’t even in the draw, but he would gain entry when eighth seed Philipp Kohlschreiber withdrew from the tournament because of fatigue. Maden will next meet a Frenchman, either wild card Quentin Halys or 2017 finalist Benoit Paire. In Monday’s other main-draw match, Ricardas Berankis of Lithuania saved four of five break points and beat German Maximilian Marterer 7-6(1), 6-7(1), 6-4. Berankis, No. 103 in the ATP Rankings, will next meet second seed and World No. 15 Stefanos Tsitsipas of Greece. Jo-Wilfried Tsonga has an 18-3 record and is a three-time champion at the Moselle Open. Two years ago, Stan Wawrinka made the final of the St. Petersburg Open on his debut. On Monday, Wawrinka made a good start toward going one step further in his second appearance at the tournament. Wawrinka defeated Slovenian Aljaz Bedene 7-5, 7-6(5) to reach the second round at the ATP World Tour 250-level event, setting a tantalising second-round match against No. 4 seed Karen Khachanov. Wawrinka fell to No. 263 in the ATP Rankings on 11 June, his lowest standing since August of 2003. But he is already back inside the Top 100 at No. 88 and in good form, winning six of his past eight matches. Now, the former World No. 3 will try to pursue his first title since last year’s Banque Eric Sturdza Geneva Open in May. The 33-year-old had won two of his three previous FedEx ATP Head2Head meetings against Bedene, with each of those clashes coming in Chennai. And while he was broken in his third service game, the Swiss battled back to triumph after one hour and 48 minutes, saving four of five break points held against him. He will play Khachanov for the first time with a spot in the quarter-finals on the line. It will be a tough test for Wawrinka, as Khachanov has been playing some of the best tennis of his young career. The Russian reached the semi-finals at the Rogers Cup in Toronto, and pushed World No. 1 Rafael Nadal in a four-set thriller at the US Open that took longer than four hours. In other main draw action, 2012 champion Martin Klizan beat home favourite Evgeny Donskoy 6-4, 6-4 in 90 minutes. The Slovakian remains undefeated in St. Petersburg, with just one of his six matches going to a deciding set. Klizan, who broke serve five times, will next face No. 2 seed Fabio Fognini in a rematch of the 2012 final. Damir Dzumhur opens play on Centre Court Tuesday, competing against qualifier Lucas Miedler. One year ago, Dzumhur earned his maiden ATP World Tour title in St. Petersburg, and he now owns three tour-level trophies. It was as if we were landing in Hell. Everywhere we looked, we saw fire. About 10 years ago, my family and I were returning from a winter vacation in Paris. We were 30, maybe 40 kilometres away from the airport when everyone on the plane started yelling and staring out the windows. It was dark, so we couldn’t see a lot, but what we did see scared me more than anything ever has: Attica, a region of Athens, was burning. We hadn’t been informed before the flight that the airport was surrounded by fire, so questions raced through our minds: Where were we going to land? Would we even be landing? Eventually, we did land, and then we drove back home, away from the flames. I remember seeing fire on both sides of our car. We turned on the TV and every channel showed the same thing: Attica on fire. Up until July, I had never felt more pain for my country. It’s easy to love Greece, though. We have the most amazing, richest language that allows you to express yourself so well. We have the landscape, the water, the beaches, the history. We have friendly citizens everywhere you go. I’m in love with my country. That’s why it hurt so badly to see fires destroying Athens 10 years ago, and why it hurt so much two months ago to see and read about the fires affecting hundreds more people, including my good friend Alex, or Alexandros, Caldwell. We were best friends as kids and played at the Greek nationals together, from the eight and unders to the 14 and unders. I felt lucky to know Alex. It’s not often you find such nice kids with whom you can trust and be true friends. Now he and his family live in the northeast part of Athens, where fires have done terrible things, burning through forests and killing dozens of people. And that’s where he was in July, waiting for his mom to pick him and his sister up so they could escape the fires. Alex was running around the house, trying to grab all of their stuff. But they didn’t have time. The fire was too close. They drove to the beach and when Alex opened the door, flames rushed to his face. He started sprinting to the water. All around him was horror: People on fire, screaming in terror, running to the water. Alex and his family made it past the rocks and to the water, but too many others didn’t. After hearing his story, I was devastated. It was one of the worst things that I’ve ever heard in my life. The only way I could show Alex love and appreciation for how he managed to overcome everything was the Facebook fundraiser we did, when we raised three times the amount of money we hoped to get. To everyone who helped, thank you. Alex, like me, doesn’t get back to Greece as often as he’d like. He plays tennis at Radford University in the U.S. Maybe we got along so well because we’re different from so many other Greeks. We have discipline. I have many cases of friends and people who I know could have played tennis at a high level, but they weren’t committed. They missed home too much or couldn’t stand the travel. From an early age, I knew that travelling and spending time away from my country would be my biggest challenge in tennis. But I’ve learned to love travelling. I embrace it. It expands your horizons. You meet new people and see new places. I also know that I have to travel. To achieve my dreams, I have to stay at hotels most of the year and come back to Greece only every few months. But that’s my job, and even though I don’t always want to do it, I do, which takes discipline, a trait that I have thanks to my mixed background. My father is Greek, and my mother is Russian. My father focused on the technical aspects of my game – developing my one-handed backhand, my net skills and helping me always take the ball early. My mother focused on the discipline. She wasn’t strict, exactly. I’ve seen strict tennis parents. She was very demanding, in a good way. She always demanded that I do my best. “Do your job and be satisfied that you are out on the court doing what you love,” she would tell me. I used to cry a lot when I lost matches. Other times I reacted even worse. Sometimes I would just freak out and run away from my parents and hide somewhere so they could never find me. I felt so embarrassed, so ashamed of my performance that I couldn’t face them, or anyone. I’d hide behind cars for one hour, sometimes one hour and a half. My parents would look for me and call out my name but I refused to show my face. I hated losing. It felt like the end of the world. When I was a kid, tennis was everything to me. My dad travelled with me. He, like my mom, isn’t a regular parent. He quit his job when I was 12 to help me achieve my dreams. That takes guts. How many dads would take such a risk? But people who do well in sports have to have that something different, no matter if it comes from your mom, your dad or your coach. The Greek team that won Euro 2004? They had that something. They didn’t want to, they simply didn’t want to be who everyone else was – they wanted to go out and explore the world and be the best at what they did. They made our country so proud. I always know I’m on court for a reason – to complete a job and make something at its finest. I’m super hungry to win matches and get up in the ATP Rankings, to be the best in my country. Pressure about leading Greece? Never. It’s very motivating to be the one who can create history in Greece and have kids look up to me later. They, like my parents did after my early losses, can be the ones chasing after me and shouting my name. I can inspire them and be the leader of tennis in Greece. When I think about the victims of the fires, it makes me even more thankful for everything that I have and all the opportunities that await. It makes me so motivated to work hard to achieve the most that I can. It won’t get easier. I’ll only get better. The Ecuador Open, held in Quito since 2015, will move to Cordoba, Argentina in 2019, kicking off the Latin American swing in February. 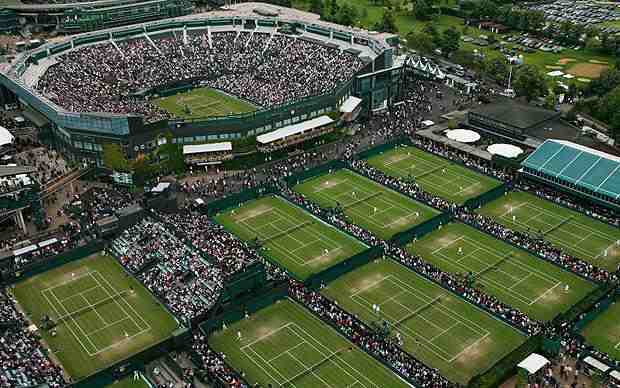 It will mark the second ATP World Tour 250 tournament held in Argentina, joining the Argentina Open in Buenos Aires. The city of Cordoba, 435 miles northwest of Buenos Aires, has hosted a number of international sporting events, including FIFA World Cup football qualification matches. Octagon will stage the tournament in conjunction with Torneos, a leading sports marketing and media company. Victor Estrella Burgos won the Ecuador Open in its first three editions (2015-17), while Roberto Carbelles Baena defeated fellow Spaniard Albert Ramos-Vinolas 6-3, 4-6, 6-4 in the 2018 Quito final. American Express Istanbul Challenger (Istanbul, Turkey): The future of French tennis has been on full display in recent months, with surging #NextGenATP stars Corentin Moutet and Ugo Humbert both entering the winners’ circle. On Sunday, Moutet notched his second ATP Challenger Tour title, taking the 31st edition of the storied tournament in Istanbul. The 19-year-old Moutet (No. 105) and 20-year-old Humbert (No. 108) are on the cusp of breaking into the Top 100 of the ATP Rankings. Humbert has appeared in the final in four straight Challengers since July, while Moutet added to his trophy case after capturing his maiden title in Brest, France, last year. The left-hander defeated countryman Quentin Halys 6-3, 6-4 in Sunday’s championship, completing a strong week which saw him drop just one set. He is the sixth teen titlist of 2018, joining Rudolf Molleker, Felix Auger-Aliassime, Alexei Popyrin, Jurij Rodionov and Alex de Minaur. Pekao Szczecin Open (Szczecin, Poland): In 2016, the €127,000 event in Szczecin was awarded Tournament of the Year honours on the ATP Challenger Tour. And last week, they celebrated their 26th edition with Guido Andreozzi lifting the trophy to break into the Top 100. Andreozzi topped first-time finalist Alejandro Davidovich Fokina 6-4, 4-6, 6-3, notching his third title of the year. The Argentine joins Hugo Dellien as the only players with a trio of trophies in 2018, adding to victories in Punta del Este, Uruguay and Tunis, Tunisia. At the age of 27, he is playing the best tennis of his career, not only enjoying great success on the Challenger circuit, but also reaching the third round at the Winston-Salem Open less than a month ago. Andreozzi rises to a career-high No. 97 on Monday, becoming the 14th player to make his Top 100 debut this year. “This makes me really happy,” said Andreozzi. “I’m not sure what to say. “It’s a moment of great happiness for me and my team. I’ve been working very hard for this. Not just for this tournament, but for everything I’ve done to this point. Road To The Rolex Shanghai Masters (Shanghai, China): An unseeded Blaz Kavcic battled to the title in the Chinese metropolis on Sunday. The Slovenian veteran earned a trio of deciding-set wins before topping Hiroki Moriya 6-1, 7-6(1) in the final, taking his 17th ATP Challenger Tour crown. He draws level with Maximo Gonzalez for sixth on the all-time titles list. It was a much-needed change in fortunes for Kavcic, who had won just five of 19 matches this year. After struggling with a series of injuries, the 31-year-old has now won Challenger titles in 10 consecutive seasons. Atlantic Tire Championships (Cary, North Carolina, USA): In February, James Duckworth endured back-to-back surgeries – foot and elbow – and was once again on the comeback trail. It was his fifth operation in the span of just one year. But, finally healthy, the Aussie is back in business after claiming the title in Cary on Sunday. It was a waterlogged week in the North Carolina town, with players dodging raindrops and wind gusts as Hurricane Florence wreaked havoc on the state. In the end, Duckworth defeated Reilly Opelka 7-6(4), 6-3, reeling off 10 consecutive sets to lift the trophy – his first since 2016. Moreover, the 26-year-old won eight matches in eight days as a qualifier, more than doubling his year-to-date total. #NextGenATP American Opelka was appearing in his second straight final, after finishing runner-up a week ago in Chicago. Srpska Open (Banja Luka, Bosnia & Herzegovina): Alessandro Giannessi rallied from a set down to defeat Carlos Berlocq on Sunday, claiming the title on the clay of Banja Luka. The Italian prevailed 6-7(6), 6-4, 6-4 in three hours and 24 minutes, marking the longest final on the ATP Challenger Tour since 2015. Giannessi’s second Challenger title moves him up 100 spots in the ATP Rankings, rising to No. 175 on Monday. Asia hosts more $150,000 tournaments than any other continent and one of them takes centre stage next week. The prestigious event in Kaohsiung, Taiwan is back for a seventh edition, with Gael Monfils the stop seed. Seeking match play and confidence in his return from multiple injuries, the Frenchman is making his first Challenger appearance since 2013. He is joined by a red-hot Jason Kubler, seeded third, and Lloyd Harris, seeded fifth. Meanwhile, Jordan Thompson, Peter Polansky, Michael Mmoh and Opelka lead the pack in Columbus, Ohio. In Europe, Roberto Carballes Baena is the top seed on the clay of Biella, Italy, while Laslo Djere and Dennis Novak are the top dogs in Sibiu. The Sibiu Open – the lone tournament in Romania – is back for a seventh edition. Great Britain see themselves as a “very strong candidate” for a wildcard for next year’s revamped Davis Cup, captain Leon Smith says. By beating Uzbekistan 3-1, GB ensured they will be seeded in qualifying for the new event but would bypass that stage altogether with a wildcard. Smith said it was going to be hard for governing body the ITF to be objective in awarding its two wildcards. “Is it [form in] the last three or four years of the competition?” he said. 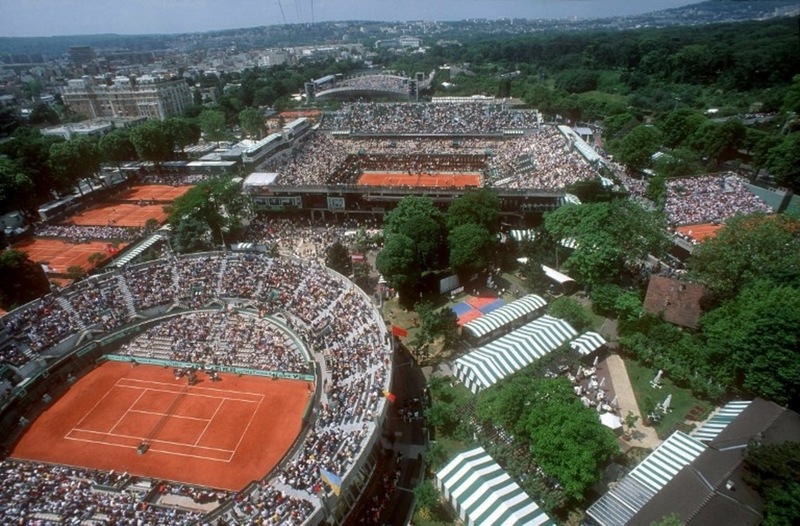 To be eligible for a wildcard, which gives direct entry to the finals, a team must but be ranked in the top 50 of the Davis Cup nations ranking or have at least one player ranked in the top 10 of the ATP world rankings. Great Britain, who won the Davis Cup in 2015, are ranked sixth and their highest-ranked singles player is Kyle Edmund, the world number 16. Speaking to BBC Sport, Smith added: “Clearly, we would view ourselves as being a very strong candidate. 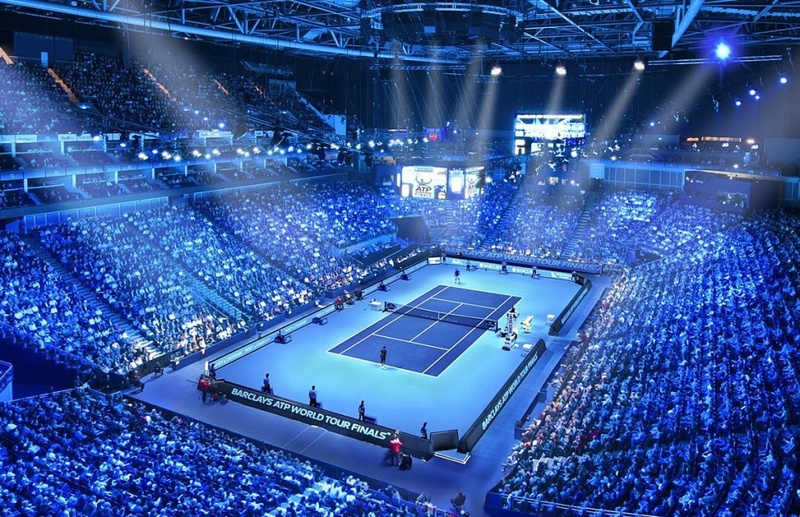 Not just for the last three or four years of results, but also how we have approached Davis Cup and how we have really embraced hosting ties to the nth degree to create atmosphere. The draw for February’s qualifying round – which is played home and away – takes place in London on Wednesday, 26 September and the wildcards will be announced before that date. “Part of us would want another home tie [in February], but do I want to go away somewhere in South America on clay straight after the Australian Open? Probably not,” Smith said. The Davis Cup will change to an 18-team season finale in 2019, with 24 teams competing in the qualifiers. The 12 winning teams will advance to the finals in November, where they will be joined by the four semi-finalists from this year’s tournament – France, Spain, Croatia and the United States – and the two wildcard picks. The finals week will have a round-robin format before a knockout phase, with matches consisting of two singles and one doubles rubber, played as three-set matches. Next year’s end-of-year event will be held in either Madrid or Lille. As one of the seeds for the qualifying round, Britain will not have to play Serbia, Argentina, Germany, Austria, Belgium, Japan or Italy – all of whom currently have players ranked higher than the British number one Kyle Edmund. However, they could play Australia or Switzerland, or possibly face a trip to South America to take on Colombia or Brazil. A home tie is always welcome. 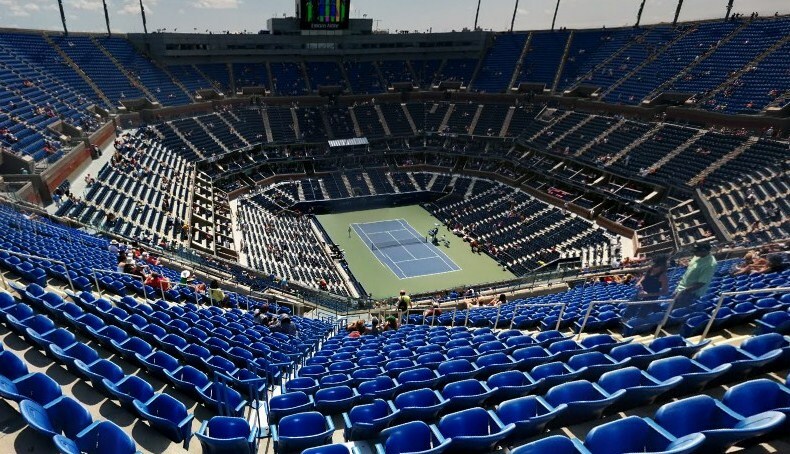 Not just because of the partisan support and choice of surface, but also because it gives the LTA a platform to sell the sport away from the traditional summer window. But as Leon Smith has indicated, a wildcard would still be preferable, even if this seems a major flaw in the structure of the new competition. 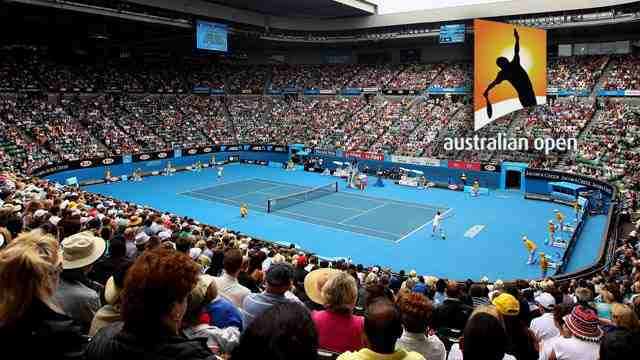 The investment group Kosmos has promised to pour $3bn into the Davis Cup and grassroots tennis over the next 25 years. To recoup that vast outlay, they will have to strike some lucrative television deals. And so they will want to do everything in their power to ensure the star players and the countries with the largest TV markets are involved.